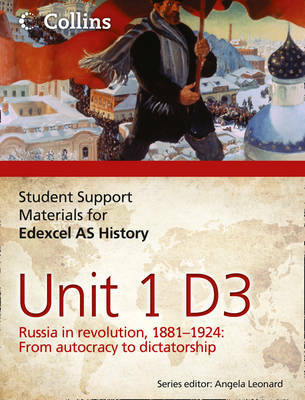 Enable students to succeed in their exam with Russia in Revolution 1881-1924. This study aid contains all the key information that students need for Edexcel History AS Unit 1 Option D3, clearly laid out with Examiners' and Essential notes. Also included are graded essays with full comments from experienced examiners on how to secure higher grades.